Today I want to introduce Depend In-Home Gel Nail System, it is the Sweden’s No. 1 best-selling cosmetic brand. Depend GelLack Obligatory Start Kit, Depend GelLack Colour and Depend GelLack Remover Oil. The Depend GelLack system is an easy and inexpensive way to achieve salon-perfect talons right at home. 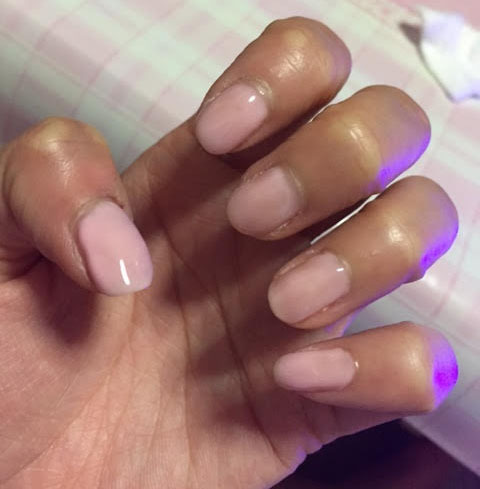 Easier to apply and longer lasting than regular nail polish, its unique removal process ensures a fuss-free and healthier nail experience. The GelLack Obligatory Start Kit ($99) includes a before/after cleanser, base coat, top coat, an orange wood cuticle stick and an LED lamp; to be used with GelLack colour (sold separately), for a highshine finish that will last two to three weeks. The GelLack Colour range provides 30 beautiful shades for nail polish aficionados to choose from, which levels out on its own upon curing under the LED lamp to achieve a smooth, ridgeless look. The LED lamp is easy to use and comes equipped with a timer – It both strengthens and dries the nails within minutes, leaving an extremely durable surface. With GelLack, nails are protected and the natural nail quality is improved as there is no need to file the nail surface before applying the product – ensuring minimal or no risks in damaging the natural nails and promoting the growth of strong and thick nails. I tried two colors by myself. One solid color and one glitter. it is pretty easy to use and very fast too. I think it is very convenient and the LED light cure pretty fast within 30-60 seconds . I love Depend In-Home Gel Nail System as I can get my nails quickly done at my own convenient time. Step 1: Apply Depend GelLack Before/After Cleanser on a cotton wool ball and clean your nails carefully. Allow the nails to dry for about 30 seconds. Step 2: Apply a thin layer of Depend GelLack BASE. Harden for 30 seconds under the LED lamp. Step 3: Apply a thin coat of Depend GelLack colour. Harden for 30 seconds under the LED lamp. Apply another thin layer of Depend GelLack colour and harden for 30 seconds under the LED lamp. Step 4: Apply a thin layer of Depend GelLack TOP and harden for 30 seconds under the LED lamp. I attempt G201_Baby Pink. This color is pretty sweet and easy to apply. Also it is very natural for daily use. I have to apply about 3 layers . The glitter is pretty easy to apply and about 2 coating is pretty much done. Most gel nail application requires the surface to be buffed first, resulting in thinning and brittleness of the nails. However, GelLack doesn’t require buffing, as curing the polish under the LED lamp smoothens it out to achieve a shiny, ridgeless look (also good news for people who cannot paintnails very evenly with their non-dominant hand). 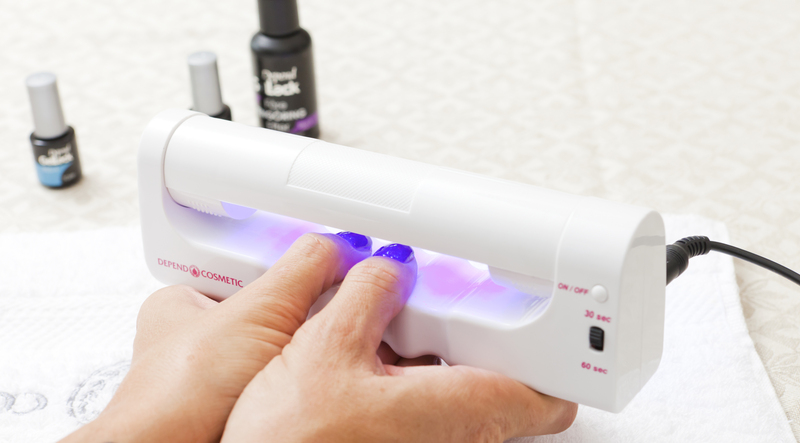 Since it is equipped with an LED lamp and not a UV lamp, the curing and drying process is quicker (30 seconds) and kinder to thenails. Once the nail polish is cured, there is no drying time. The removal process is the key highlight of GelLack’s system, as it requires only GelLack’s Remover Oil and warm water. Most (if not all) gel nail removal requires an acetone soak, which dehydrates the nails. The remaining polish is literally scraped and buffed off, which usually leads to damaged, brittle nails. However, GelLack only requires you to massage the oil into the nails, after which you place the nails in warm water (about 40 degrees) for about 3 minutes and the nail polish can be peeled off with your fingers or with a cuticle stick, causing no damage to the surface. 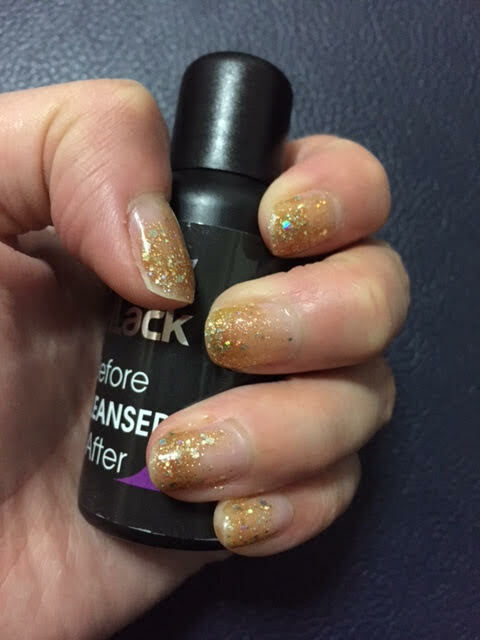 Remove nail polish with GelLack Remover Oil and say goodbye to dry, damaged nails. Traditional removal methods typically include a nail wrap and a soak-off with pure acetone, which is drying to nails and skin. After which, the gel will need to be buffed off which causes damaged and thinning nails. With the GelLack system, removal begins with a simple massage of the moisturising GelLack Removal Oil onto the nails. Thereafter, nails are soaked in warm water (40°C) for a few minutes. The gel nail can then be easily removed with an orange stick, with no damage done to the nail surface. Recently launched in Hong Kong with great success, Hong Kong celebrities and celebrity stylists such as Mandy Wong and Linda Chung have all given their stamp of approval. Whether you are trying to save money or are simply too busy to make an extra stop at the salon, it is the perfect tool to master manicures and pedicures in the comfort of your own home. 1. If the nail polish comes into contact with the skin, wipe it off before curing it under the lamp. 2. If you have made any mistakes while painting your nails, remove the polish first before curing. Once the nails are cured, it’s hard to make the changes. 3. For the remover oil to work as it should, it’s best if you leave the nail polish on for about 2 weeks. 4.The remover oil cannot be used with other gel nails – the formula in GelLack nail polish was specially formulated to react with the oil and the warm water.